Thanks for stopping by. A lot has changed since Barbizon first opened its doors in 1939. Hundreds of thousands of alumni have come through our program each looking for something a bit different. Over the years, our program has evolved to focus on what our students need to succeed. While modeling and acting courses remain a core focus, the personal development aspect of our curriculum is the shining star. Wherever life may take our students, the traits of self-confidence, goal setting and the belief that anything is possible with hard work will help set the course for the rest of their life. Below we’ve outlined the main aspects of our program to help in your research about our company. We’re here to answer your questions. 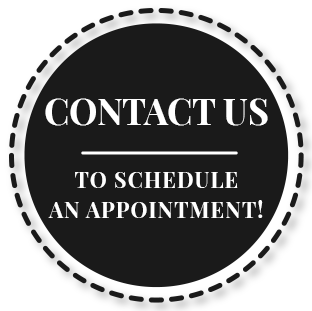 Schedule an appointment to learn more about our program and meet with our team or contact your local school. We’re happy to help. Barbizon is about opportunities. We’re here to help you and your child build a solid foundation for success in modeling, acting and in life. Modeling is not a one size fits all career. There are many types of models and there are clients looking for kids and teens of many different looks. The modeling industry is one of the most competitive industries in the world. We can help your child begin to navigate all the opportunities that are available to them. Barbizon’s modeling program will teach your child the basics of photo movement, runway techniques, projecting self confidence, television commercial aspects and more. Acting can help your child to express emotion, feed creativity and learn about social interaction. While acting is a competitive industry, there are many amazing opportunities no matter where you’re from. Barbizon not only offers training but a way to explore the industry first hand. Barbizon’s acting program will teach your child about the audition process, improvisation, cold reading and more. Barbizon’s program centers on developing self-esteem and basic life skills that will last a lifetime. Our lessons include effective speech delivery, etiquette, interview skills, resume development and basic manners. Our personal development curriculum encourages students to understand all the possibilities of what “Let your star shine,” really means.